In David’s lastest article, learn how to configure Windows Server 2008 IIS 7 from the command line using appcmd.exe. IS 7.0 provides a new command-line tool, AppCmd.exe, to configure and query objects on your Web server, and to return output in text or XML. In this article, you will learn what this tool is, how to use it, and how to perform common IIS administrative tasks such as creating new sites, stopping/starting services, and viewing status of the site. Can Cisco EnergyWise really save your company money? David Davis looks at the short and long term aims of Cisco’s EnergyWise initiative, which could save an organization thousands of dollars in energy costs. Cisco Catalyst switches can now be upgraded to a version of the IOS that supports EnergyWise. The next Cisco HW to receive EnergyWise is Cisco’s wireless AP lineup. Read the full article at: Can Cisco EnergyWise really save your company money? Cisco’s Facebook App and Game – EdgeQuest 2 – Big Prizes! 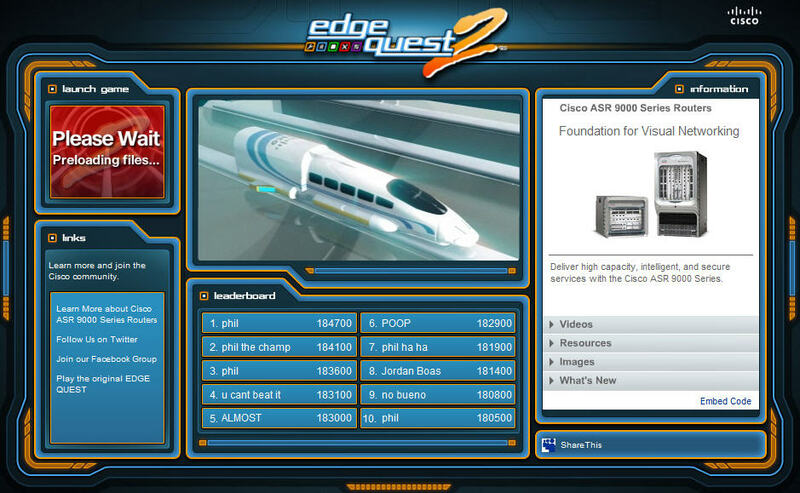 Cisco is offering a new Facebook application called Edge Quest 2 and it contains a shockwave game of the same name. The game will also be involved in a tournament with the opportunity for your users to win prizes based on how they do. The Edge Quest 2 tournament starts on Monday, February 23, 2009 and ends on Friday, March 6, 2009. You can play as many times as you want to master the game – your top score may qualify you to win! Your members can practice their skills within Facebook using the Cisco Facebook EdgQuest 2 App. When time for the actual tournament, they will play the game at the Cisco EdgeQuest website. Prizes will be awarded to each week’s top eligible scorers. I hope you win some big prizes! The Cisco PIX firewall is near its end-of-software-maintenance life. Are you ready to upgrade to ASA? David Davis tells you about a tool that will ease your PIX to ASA upgrade.Learn how to use the PIX to ASA Migration Tool, step by step, in this new article. Vista giving you trouble? 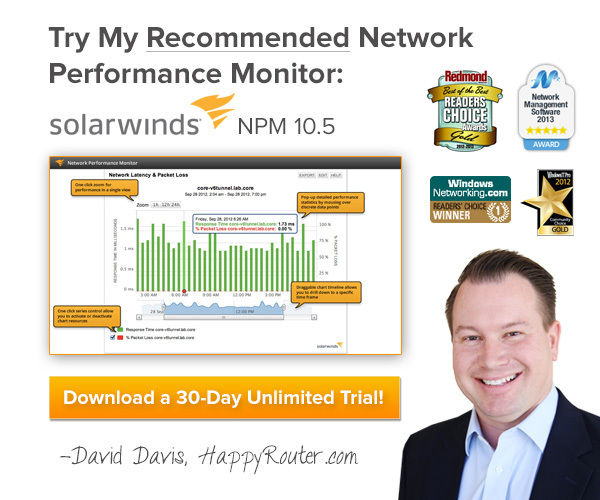 Networking a pain with the new Network and Sharing Center? I know how you feel! To help out with Vista Networking issues I have created 5 Tips to help you troubleshoot your networking issues and resolve them! I ran across these IP Routing Training videos (in 3 parts) and wanted to share them with all my loyal HappyRouter.com readers. Enjoy! Train Signal has released a new Windows 2008 Application Infrastructure (70-643) video training course. The 8 hour video training course covers Hyper-V, Web Server Construction, Server Imaging, and everything you need to pass Microsoft certification exam 70-643. Included are versions of the course in iPhone, iPod, and MP3 formats for watching on the go. You can watch a free demo of the course by clicking on the graphic below. In my latest TechRepublic article, I cover Cisco’s License Manager and how it can help you. 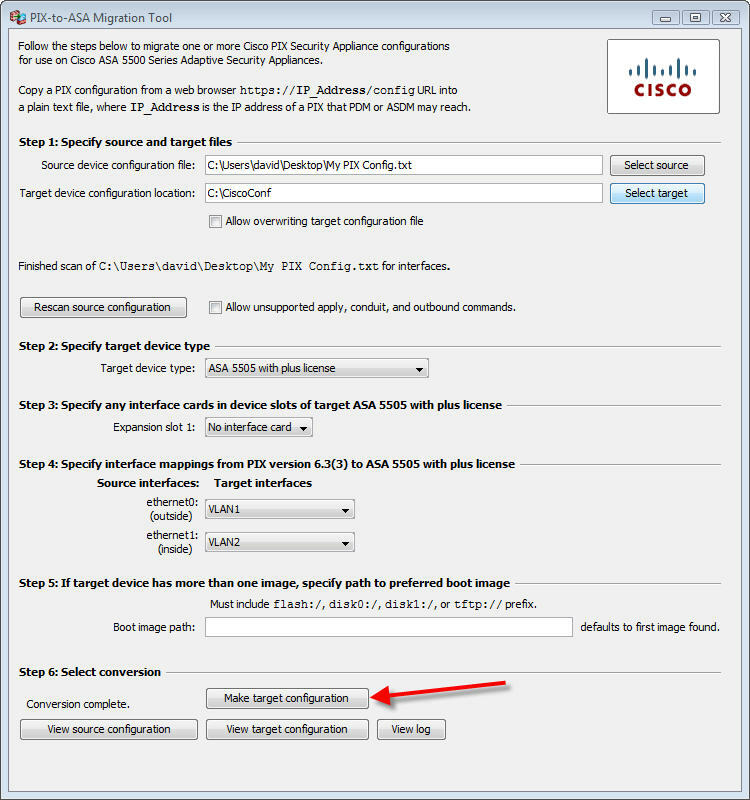 Did you know that this is a free download (for registered Cisco users)? If that is the case, why not use it to keep track of licensing, whether you work at a SMB or large enterprise?